As the New Year begins, many people have resolved that this is the year they begin riding a motorcycle or renew their riding career after a long break. If you are among that group, the following excerpts from The Perfect Motorcycle: How to Choose, Find and Buy the Perfect New or Used Bike are especially for you. 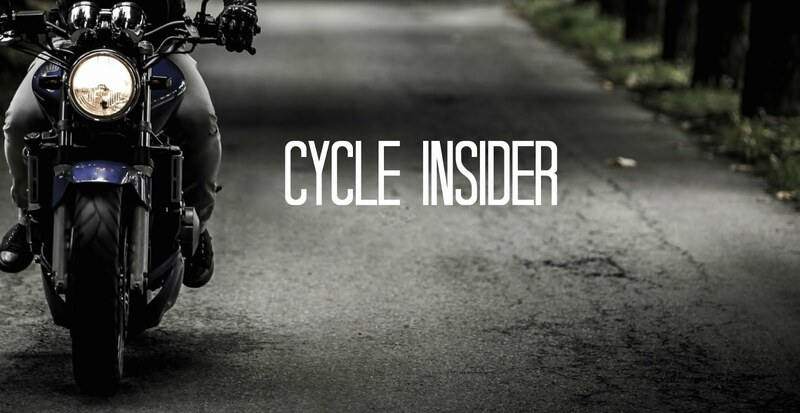 Rule 1: Learn all you can, and make your own informed decisions about what and how to ride! Rule 2: If there are any questions, see Rule 1. Do your homework and take plenty of time to look into this new adventure. Getting The Perfect Motorcycle book is an excellent step. There are free downloadable worksheets and checklists to help you here. Keep reading and seeking out good advice. Regarding friends’ advice, a trusted advisor that has your best interests at heart, who has been through the buying process, and is an experienced rider, can be an invaluable guide. On the other hand, beware that some friends will give you very specific advice on what to buy and how to ride. Sometimes a person’s motivation is to reinforce his own ideas on motorcycling, regardless of your needs. Riders may have blind spots and an emotional attachment to things that aren’t reasonable or in your best interest. Again, make your own informed decisions about what and how to ride. Peer pressure can be intense. If you decide to do things differently than others around you, that’s fine. There’s too much at stake out there on the open road, and you need to take the responsibility to make your own decisions. Being armed with more data from more sources will help you ride more miles, ride more safely, and have more fun. New riders tend to overestimate the amount of power and size of motorcycle they need. Bikes are much lighter than cars, for example, and even small displacement motorcycles can accelerate faster than most autos. Keeping up with traffic is usually not an issue. If you are planning trips on the Interstate, though, you will need to be aware of minimum horsepower and speed requirements. There are all sorts of appropriate motorcycles for your introduction to riding. Consider buying a late-model used small bike that you think you will outgrow as your skills increase, rather than a big bike you might grow into. Consider a dual-purpose bike. This bike type is relatively inexpensive, easy to ride, versatile in function, and, usually cheaper to insure. The only potential drawback is that the seat height of a dual-purpose motorcycle is typically higher than other bikes, and a lower seat height can sometimes help the bike be easier to manage and more reassuring to ride. If things go great with your small used bike, and you find your riding skills have improved and your requirements for a motorcycle change, most of your relatively small investment can be recouped by selling the bike (probably for not much less than you bought it for), and you will have learned a ton while having had a good time riding. Beginning rider model recommendations include: Kawasaki Ninja 250/500 and KLX250, Buell Blast, Honda Rebel 250 and CRF230, Suzuki Savage, DRZ200 and TU250X, Yamaha Virago, Exciter 250, and XT250. Books and other resources are covered in detail in The Perfect Motorcycle, but Proficient Motorcycling by David Hough is recommended reading for all motorcyclists. Its successor, More Proficient Motorcycling, is a good follow up for experienced riders. A Twist of the Wrist by Keith Code, Total Control by Lee Parks, Smooth Riding the Pridmore Way by Reg Pridmore and Sport Riding Techniques by Nick Ienatsch are each excellent for learning techniques for effective motorcycle control. One final thought: Riding a motorcycle is fun and makes people happier. Go riding—a lot. Be happy. That’s why you are getting a bike, right? Great article on how to get into/re-enter motorcycling. I ride a Can Am Spyder and looking for my first 2 wheeled bike. Good scoop in this blog. Many Thanks. Riding a bike can be very dangerous especially if you don't know how to handle it. It is important not to be arrogant as to think that you can handle everything because there are some situations that may be out of your control. I like the post because it gives clear and specific advises on what best to do for beginners. Riding is actually very exciting especially since you get to see a lot of sceneries and go to different places.